College of Biomedical Engineering and Applied Sciences (CBEAS) was established in 2005 under the affiliation of Purbanchal University which is currently situated at Dhana Marg, Handigaun Marg, Bishalnagar, Kathmandu. The main objective of CBEAS college is to provide quality education to enthusiastic youth with sensible cost and construct mindset that will help them to contribute for the sake of society. College of Biomedical Engineering and Applied Sciences is also registered in Nepal Engineering Council. This college offers Bachelor of Engineering (Biomedical Engineering) program. The world needs engineer in health sector since the world is digitalized and health has adapted technology. Society needs engineer for clinical diagnosis and therapy and for investigating physiological basis of disease. Biomedical engineering is especially for those who have interest in medicine with strong technical brain. Any kind of medical science is associated with biomedical engineering. Diagnostic equipments like MRI, CT scan, ultrasound, X-ray, ECG are considered under biomedical engineering. College of Biomedical Engineering and Applied Sciences provides bachelor of biomedical engineering which is highly needed globally. We run this program in Nepal only under Purbanchal University. This program needs core knowledge of biological science as well as physical science which includes computer, mechanical, electrical and electronic engineering. Biomedical engineering also includes molecular and cellular engineering, tissue engineering, plasma engineering, intercellular physiological control mechanism, drug regulation and drug delivery services. Although this course sounds complex, College of Biomedical Engineering and Applied Sciences has pushed those boundaries to new level of engineering in Nepal. Why College of Bio-Medical Engineering and Applied Sciences ? 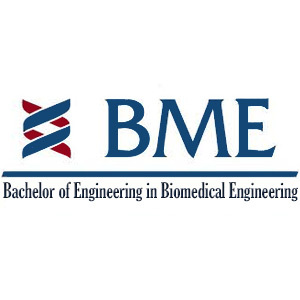 Aiming to graduate in Biomedical Engineering and getting a professional degree? Here is a detailed overview of the course and other additional details. Also, know why to join College of Biomedical Engineering and Applied Sciences.